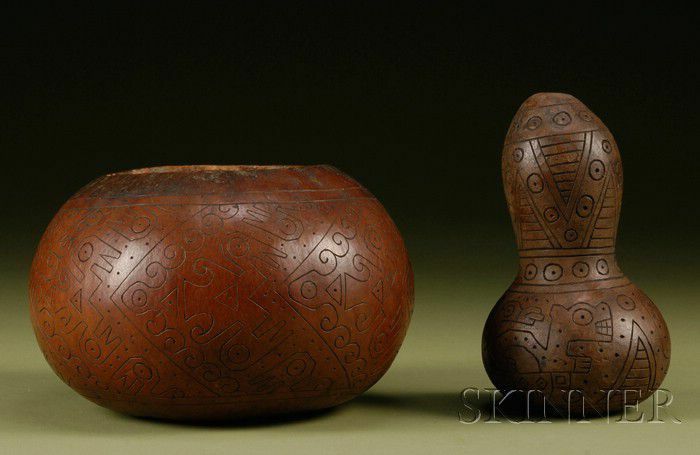 Two Pre-Columbian Decorated Gourds, Peru, Nazca, c. 200-600 A.D., both with incised decoration, the first with chevrons filled with abstract curvilinear and avian designs, the second decorated with a mythical creature combining jaguar, condor, and a trophy head, bowl ht. 4 1/2, dia. 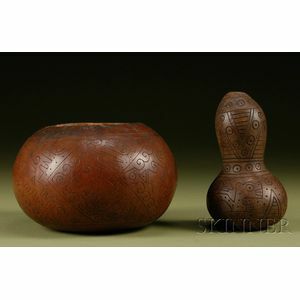 6 1/2, gourd shape ht. 5 1/2 in.